The Virutex AG98F portable edgebander for preglued melamine and veneer. 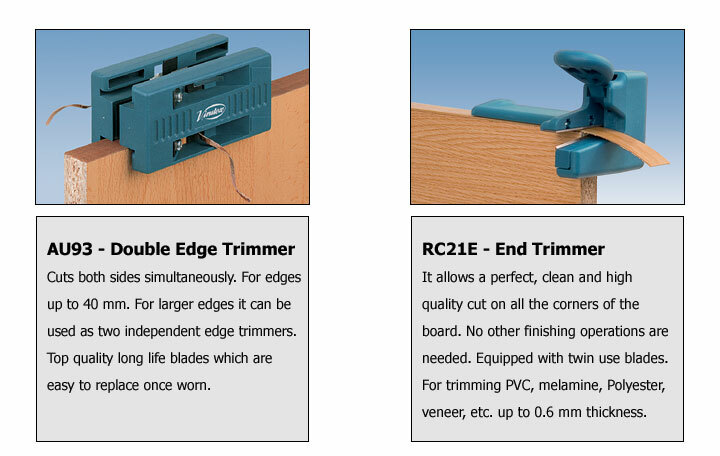 Enables banding of circular or shaped pieces. 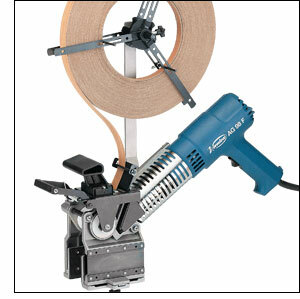 Its special design with adjustable clamps ensures high precision work with great stability. Set up time: less than one minute.